All Things Crafty: Ugh... Changes Now? 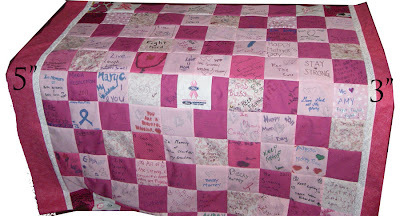 I created all the double borders and embroidered all the pink ribbons for corner blocks. I anticipated 5 inch borders. When I sewed one set of borders on, I laid it on the bed to look and one side accidentally folded under. Now, I want 3 inch borders instead. The 5" side just looks too big. 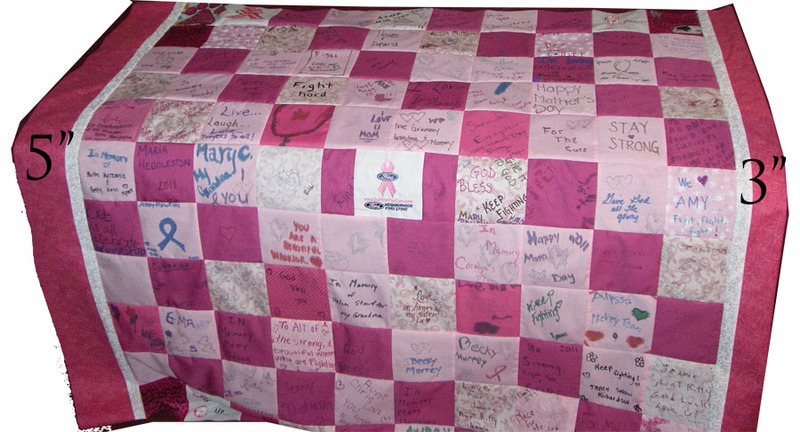 Which is fine except that the currently completed pink ribbon corner blocks can be no smaller than 4.5 inches. So, back to the embroidery machine I go. I'm going to try and shrink the applique ribbon corner blocks to be under 3" tall. It's so true, when you least expect changes, they will happen.